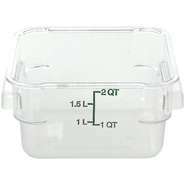 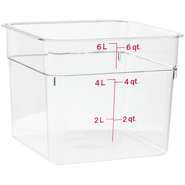 You'll enjoy the space-saving properties of square commercial food storage containers, especially if your space is limited. 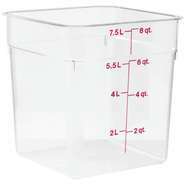 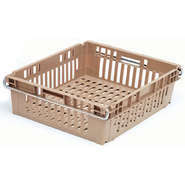 As with round containers, the square units are made in various materials and sizes, and often feature easy-to-read graduations on the outside. 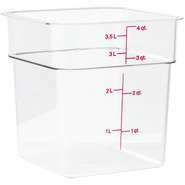 This makes it easy to see at a glance how much is inside the container. 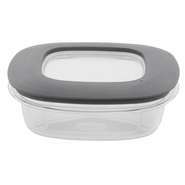 Select matching lids to keep product fresh and protected. 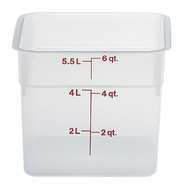 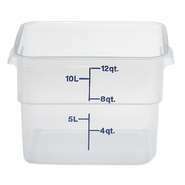 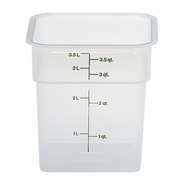 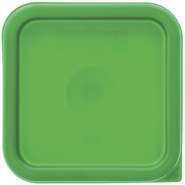 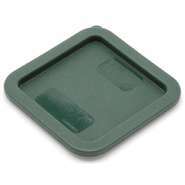 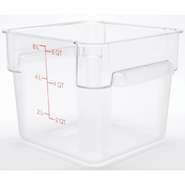 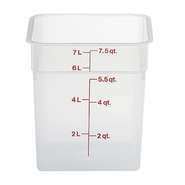 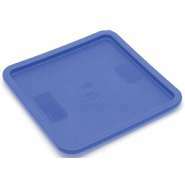 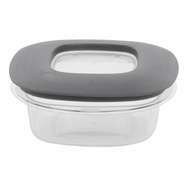 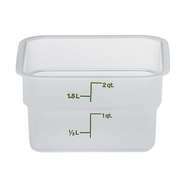 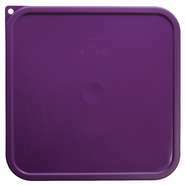 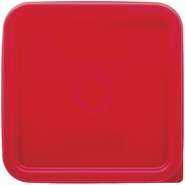 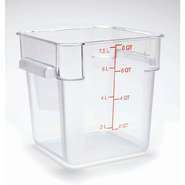 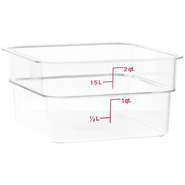 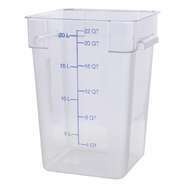 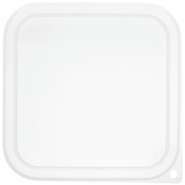 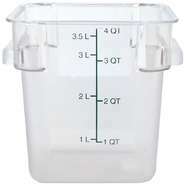 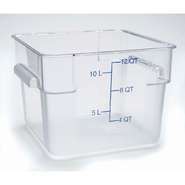 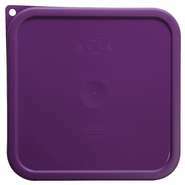 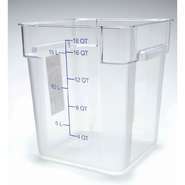 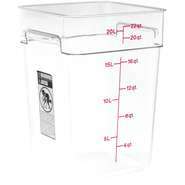 Some containers have lids that are color coded for easy identification by kitchen staff. 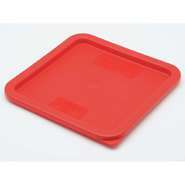 Color coding also helps to eliminate cross contamination.